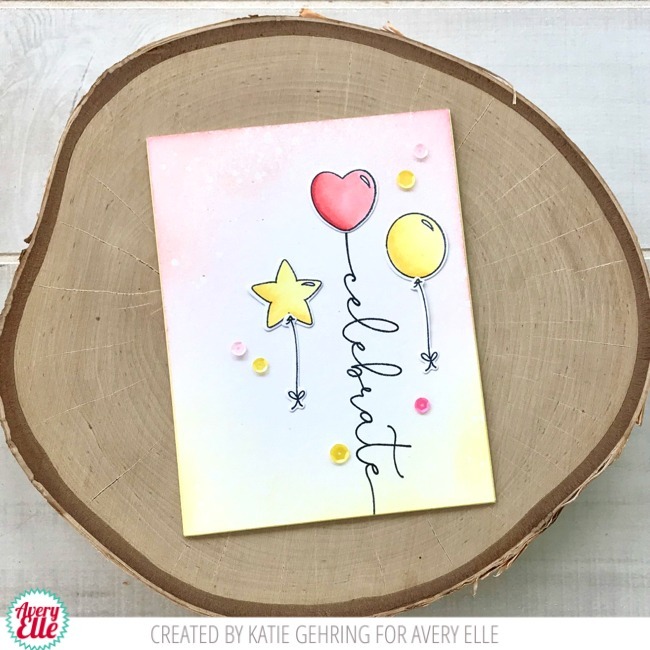 Katie here with a card to share using the Floating Wishes stamp set. I love these floaty, scripty sentiments and the shaped balloon images are super sweet. I used the 'celebrate' sentiment in place of a balloon string and adhered the heart balloon to the top. 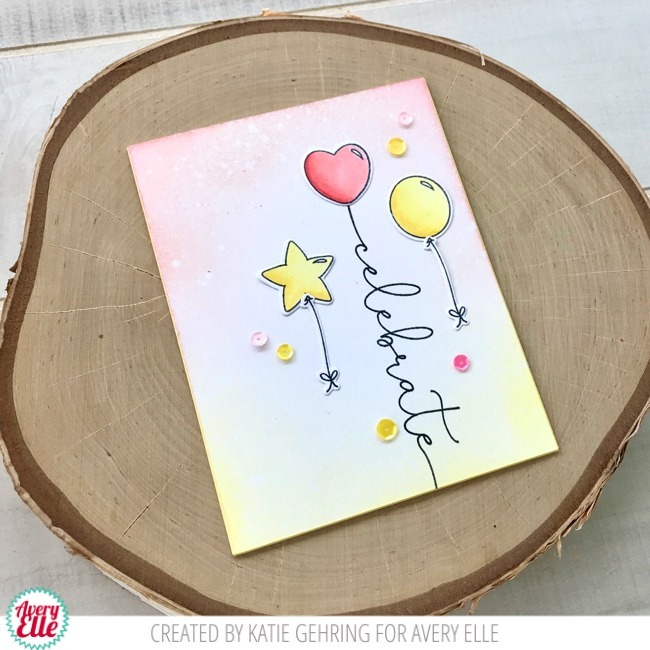 I added a couple more balloons to a blended ink background and finished the card with a few pink and yellow sequins. I really love the blended ink background on this, and how the sequins are not overdone. Simple yet really cute. Nice card.